Go back to nature on a horse riding and camping trip. Ride through steep mountain passes, crystal-clear rivers, and lush forests on a sure-footed horse, sleeping under a blanket of stars and sipping coffee brewed over the fire. 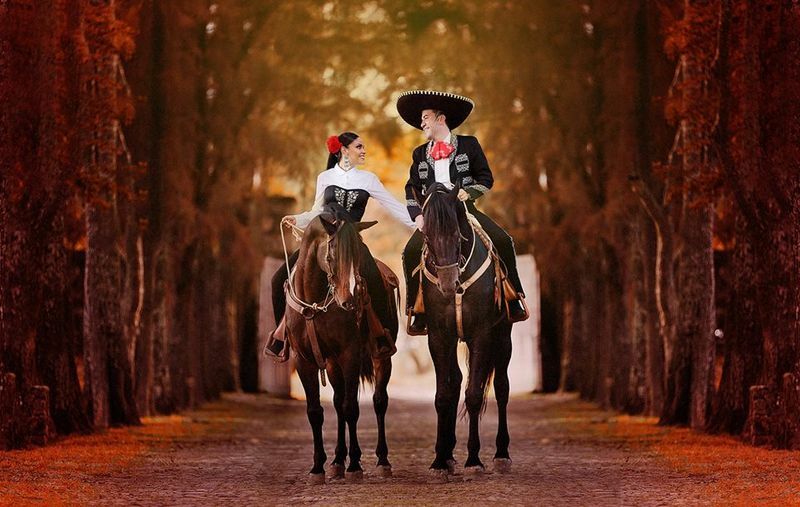 Traveling on horseback, with pack animals carrying your luggage, is the purest form of riding. Depending on the location, these pack animals can be horses, mules, camels, or yaks. Pack trips usually cross wilderness areas, such as massive mountain ranges and plateaus that are sparsely populated and rich in wildlife. You are able to cover a greater distance than you would on foot, discovering grounds that are too rough to be accessed by vehicles. You’ll spend 24 hours with your horse, connecting and establishing a trusty partnership. “A Mongol without a horse is like a bird without the wings.” – Mongolian proverb. The nomadic horse culture is often associated with Genghis Khan and his hordes, but its roots can be traced back thousands of years in Central Asia. Today, horses are still central to life in Mongolia, and the country’s horses outnumber its human population. Immerse yourself in Mongolia’s nomadic way of life and find out how an entire empire was won on horseback. 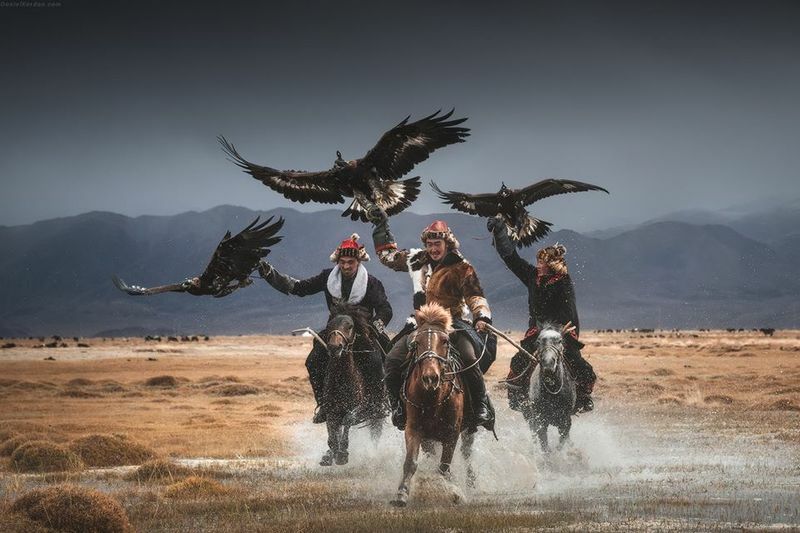 Witness one of the last surviving horse cultures in the world, in which little has changed since the conquest of Genghis Khan. Join a horse riding and camping trip in Mongolia and let Mongolian horses guide you through the country’s contrasting landscapes. From the Gobi Desert in the south to the wilderness in the north and the vast steppes in between, you will visit some of the world’s most isolated regions. In northern Mongolia, near the border with Russian Siberia, follow ancient trails in the Taiga Mountains. Ride through the Khan Khentii Special Protected Area, almost completely uninhabited by humans and home to several endangered species of animals. Meet the Tsaatan – the Reindeer People – that live west of Lake Khovsgol. 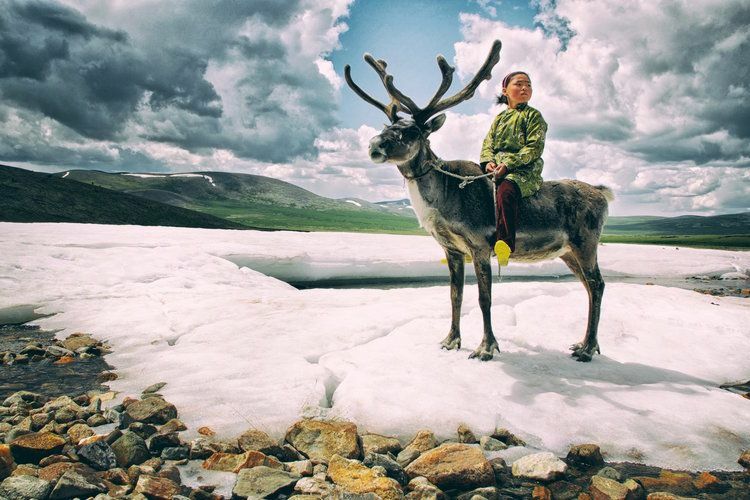 Also known as the Dukha, the Tsaatan are one of the last nomadic tribes of reindeer herders. This dying culture is completely dependent on reindeer, which are domesticated and considered part of the family. North of capital Ulaanbaatar, the Gorkhi-Terelj National Park offers some of the most scenic views in the country. 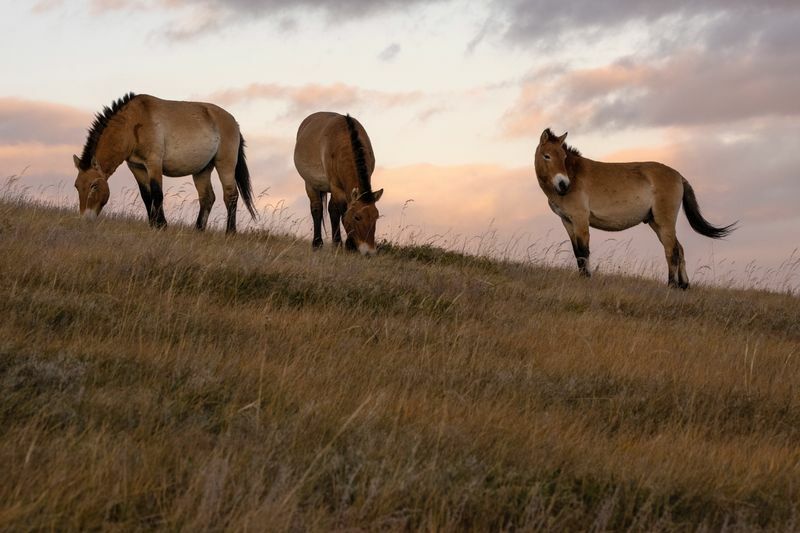 In the Hustai National Park, see wild Przewalski’s horses. This endangered species that once roamed freely across the dusty steppes has been recently reintroduced in Mongolia. Ride through the semi-arid steppes south of Ulaanbaatar, passing by sand dunes and giant rock formations. Learn about Mongolian culture by attending fascinating festivals. At the National Dance Ensemble, you can listen to khoomii (throat singing). 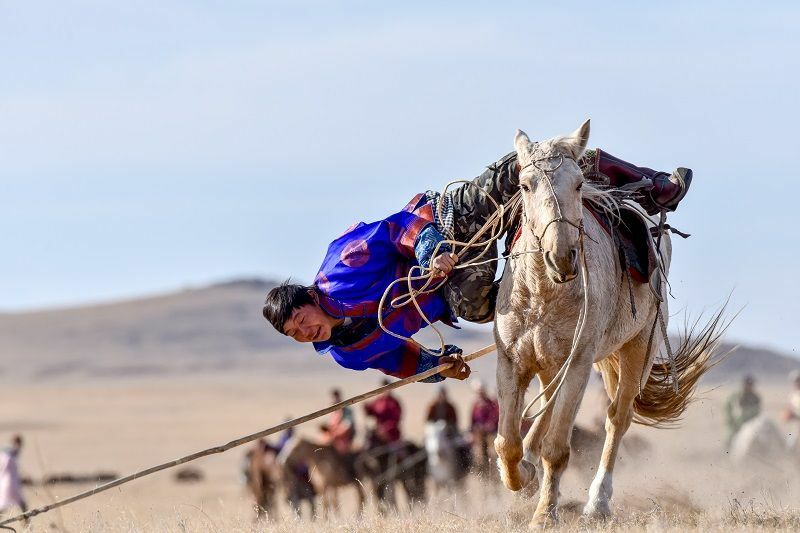 Local Naadam festivals are the Mongolian equivalent to the Olympic Games, and have three disciplines: wrestling, archery, and horse racing. The crew uses yaks or camels to carry the luggage and necessary equipment. You will camp alongside rivers, usually in a ger camp – traditional round-shaped dwellings that are easily assembled and disassembled. You’ll get the chance to spend time and actually stay with a nomadic family. One thing to keep in mind when planning a horse riding and camping trip in Mongolia is that the country has a generally harsh climate. Summers are short and winters are long and cold. Therefore, the best time to go horse riding in Mongolia is between June and September. While the riding itself is not too technical or demanding, you will spend long hours in the saddle during the longer treks. To truly experience the Western United States’ backcountry, there’s no better way to do it than on horseback. 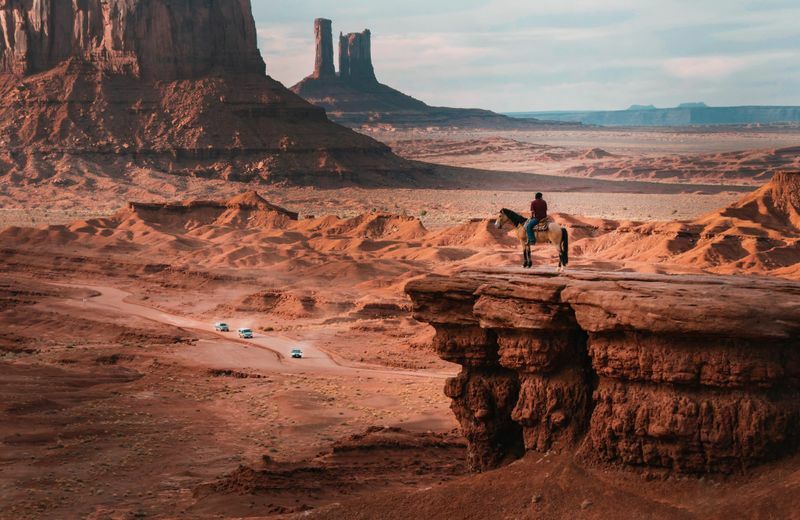 Summer months are the best time to go on a pack trip in the US, and the states of Colorado, Montana, Wyoming, Idaho, Utah, and Arizona are the top destinations for a multi-day adventure in the saddle. 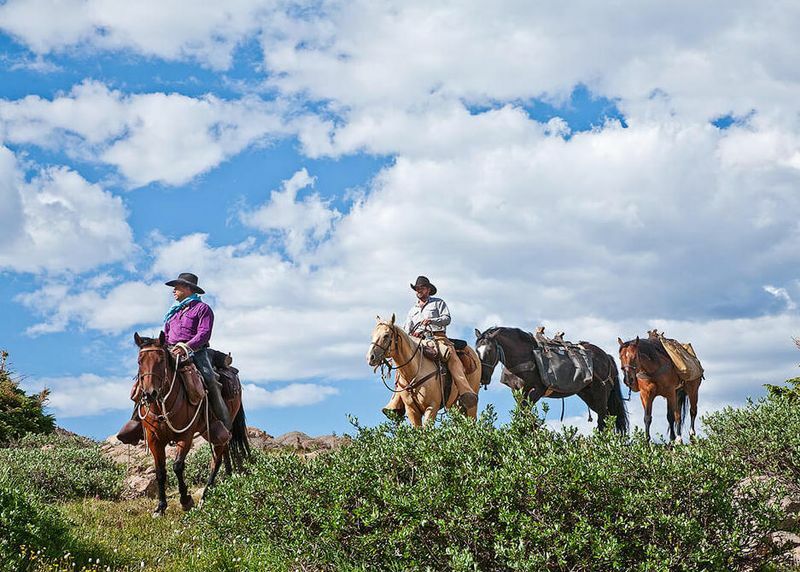 Ride American Quarter horses deep into the heart of the Rocky Mountains, through natural parks and wilderness areas, cooling off by alpine lakes and glaciers, against an awe-inspiring background dotted with snow-capped peaks. 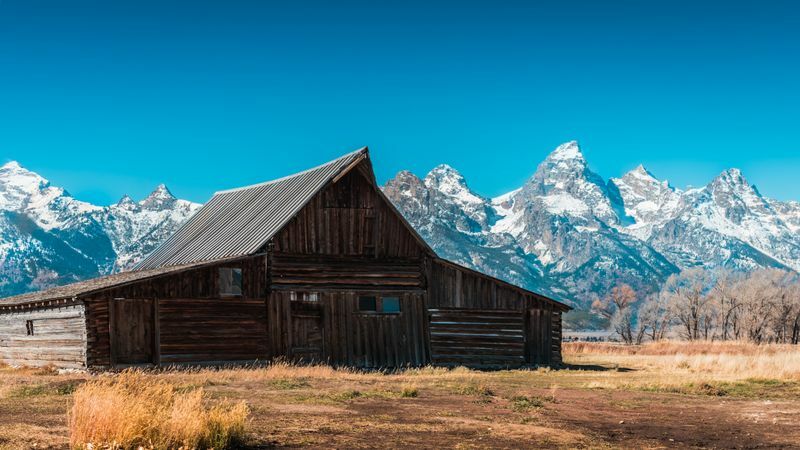 In Montana, ride at the foothills of Glacier National Park and in the scenic Blackfeet Reservation, home to one of the largest tribes in the US. Cover great distances on the vast trail system in the Crazy Mountains and explore the Rocky Mountains as only a few do, on a wilderness pack trip in Montana. In southern Montana, venture into the Greater Yellowstone Area, the largest area still protected from development in the lower 48 states. Ride through remote areas, along sparkling springs, grassy valleys, pine forests, mountain meadows, and over high mountain passes, camping in complete wilderness. In Wyoming, explore the contrasting features of the Yellowstone National Park on horseback. 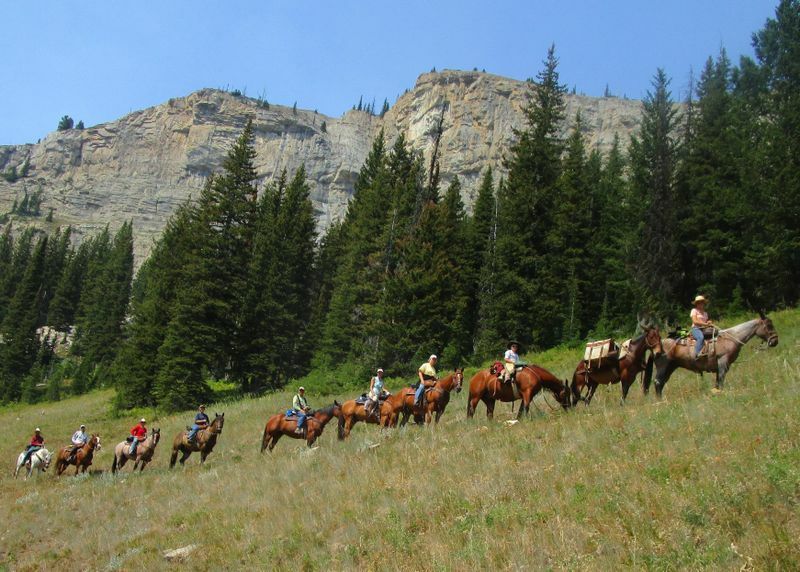 South of Yellowstone, ride through true isolated wilderness in the Gros Ventre mountain range. Bighorn National Forest has several horse riding trails for shorter and less demanding horse camping trips. In Colorado, horse riding has been a tradition in the Rocky Mountains National Park ever since it was established in 1915. The San Juan Mountains in the southern Colorado Rockies have the highest average elevation in the US, and are said to have some the most bedazzling and varied scenery in the US. 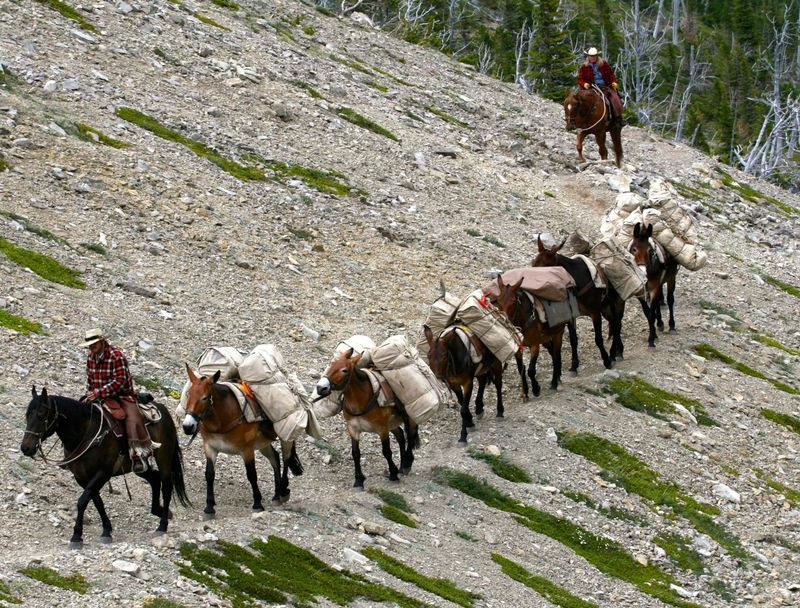 Go horse trekking over the Continental Divide in the Weminuche Wilderness, a glaciated area with streams, deep valleys, green meadows, and tall waterfalls. In Idaho, ride through Nez Perce-Clearwater National Forest and the Frank Church-River of No Return Wilderness, along the rugged canyons of the Salmon River (also known as “The River of No Return”), climbing all the way up into the Rockies. In the Gospel Hump Wilderness, follow the trails that gold miners and early settlers used to cross the country. 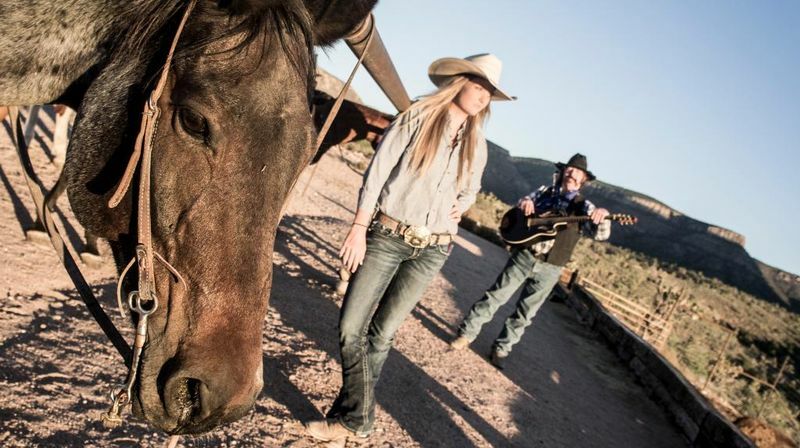 In Arizona, embark on the Grand Canyon Winter Pastures Ride. From the remote North Rim, descend on steep trails into the Grand Canyon. Once down, you’ll explore the Grand Canyon’s least frequented areas as you make your way to Monument Valley. It is said that Kyrgyz people are born on horseback. In the remote villages and mountains of the country, babies learn to sit in the saddle before they can walk. Horse trekking used to be the only means to get around. For many, it still is. Discover the Kyrgyz nomadic culture on a horse trekking tour in Kyrgyzstan. Follow in the footsteps of ancient traders on the Great Silk Road, the world’s most complex system of caravan routes, which connected the East and West across the roof of the world. 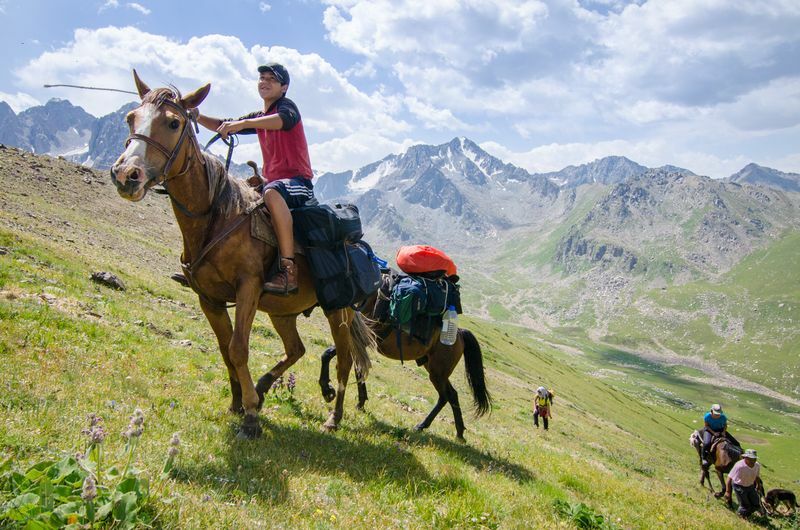 Ride Kyrgyz horses on these ancient routes today, carrying all your essentials on horseback. Famous for its jaw-dropping lakes and tall mountains, it’s possible to go horse trekking just about anywhere in Kyrgyzstan. And you don’t need experience to do so. You only need to be fit enough to withstand the long journeys on horseback. The most popular horse treks in Kyrgyzstan are the trails to Issyk Kul Lake, the second-largest alpine lake in the world, and Song Kol Lake, the largest freshwater lake in the country. East of Issyk Kul, the Karakol Valley has fascinating horse trails leading through mountain passes over 3,800m (12,500ft) tall. 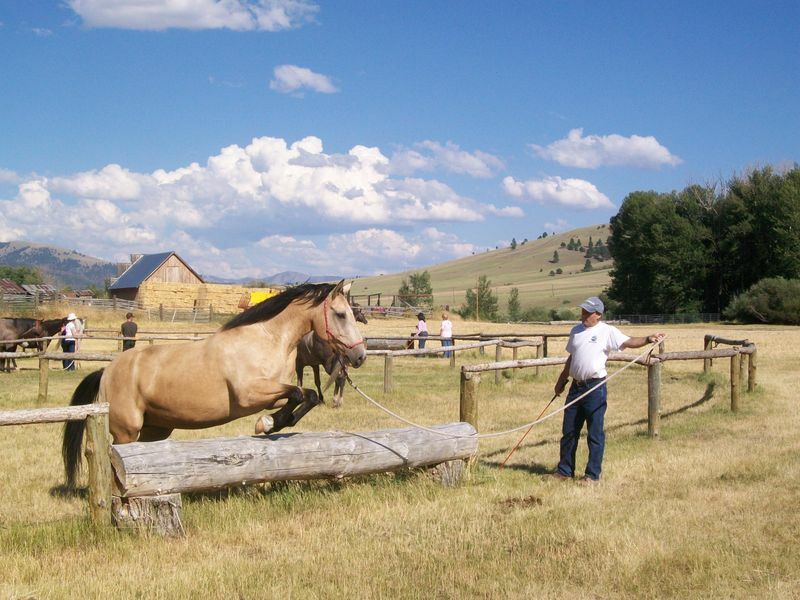 North of Issyk Kul, the Chong Kemin National Park also offers high altitude horse riding trails. Near the border with China and Kazakhstan, follow the trails of nomadic herders against the backdrop of Khan Tengri (7,010m/ 22,999ft), the highest mountain in the Tian Shan mountain range. In western Kyrgyzstan, the Sary-Chelek Biosphere Reserve is home to seven high mountain lakes. 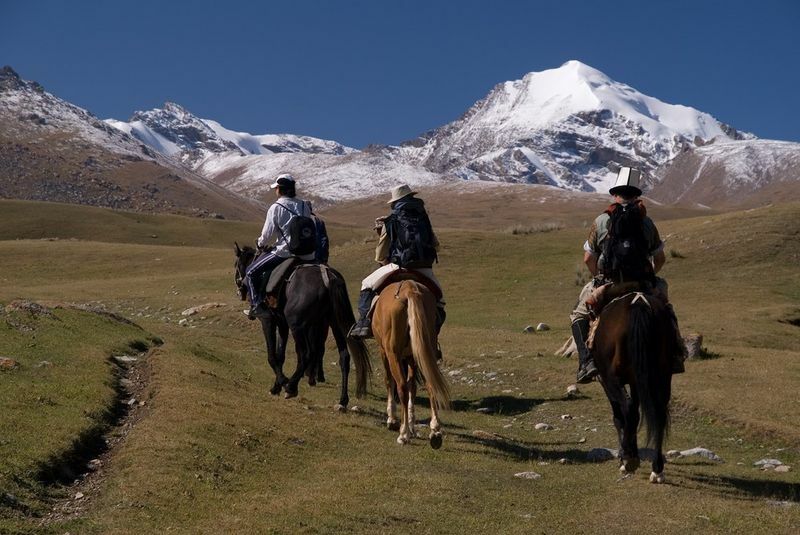 In the south, the Alay Valley offers horse riding trails around the glaciers and vast pastures at the foothills of the Lenin Peak (7,134m/23,406ft). 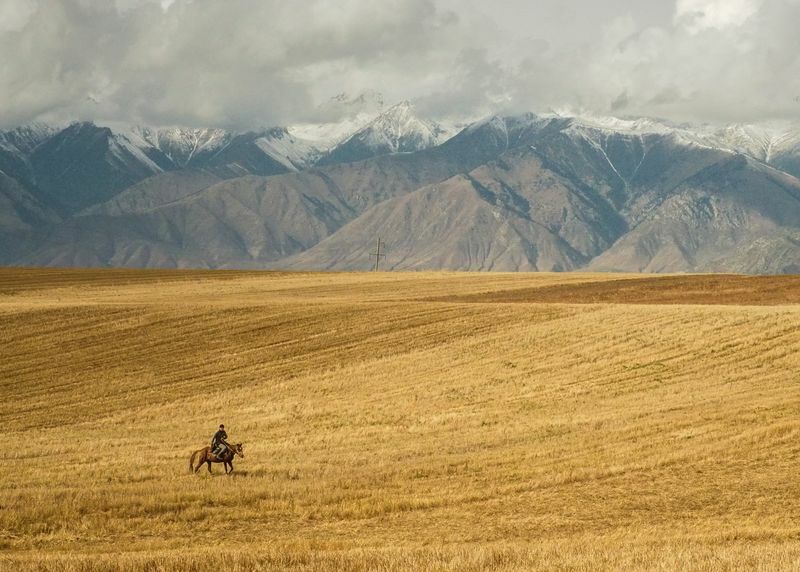 The best time to go horse riding in Kyrgyzstan is during summer, between June and September, when the roads are accessible and the weather is warmer. For centuries, horsemanship has been a way of life for the people of Argentina. Horses have been the inseparable partners of the gaucho – the solitary, hard-riding, and hard-working man taking care of cattle in the pampas (vast steppes of grassland plains). The gaucho is Argentina’s cowboy, and has long been a symbol of freedom. 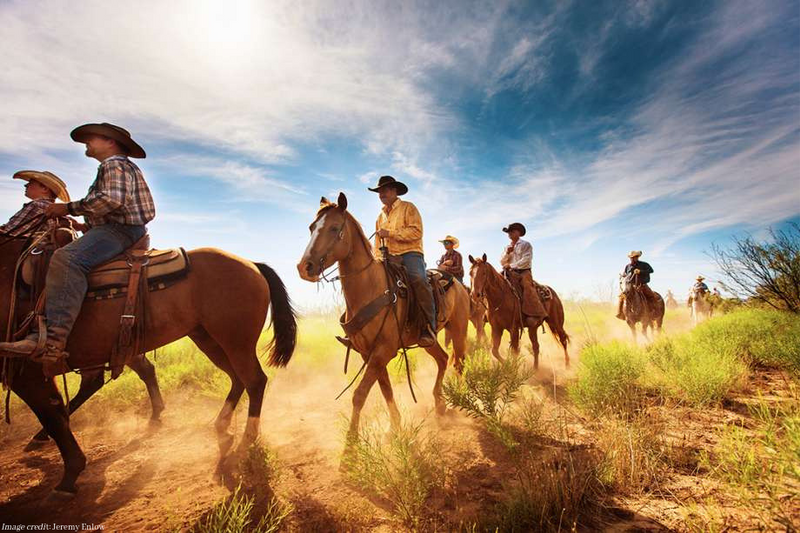 Experience the gaucho way of life on a pack trip in Argentina! Ride Argentine Criollo horses through the pampas and pristine valleys of Patagonia’s wilderness. The Northern Patagonian Andes are home to spectacular national parks. Just outside the laid-back mountain town of Bariloche, Nahuel Huapi National Park is also known as Argentina’s Lake District. This is South America’s oldest national park, and the most popular horse riding trail here is Ruta de los Siete Lagos (“the Seven Lakes Route”). A bit north, on the border with Chile, the Lanin National Park is home to the snow-capped Lanin Volcano, lunar landscapes, and glacial lakes. South of Bariloche, explore the Lago Puelo National Park, a sublime Patagonian forest surrounding a turquoise lake. 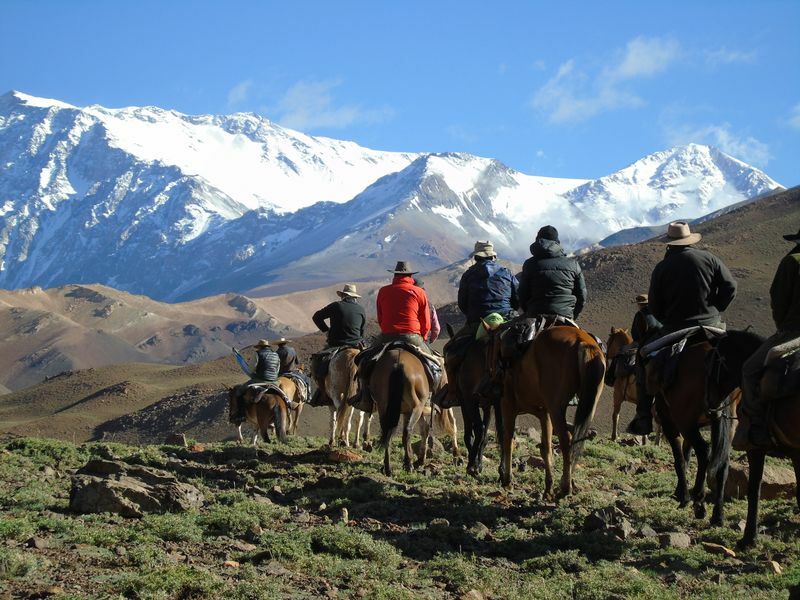 The high Andes are where the most sought-after horse riding trails can be found – the crossings from Argentina to Chile. 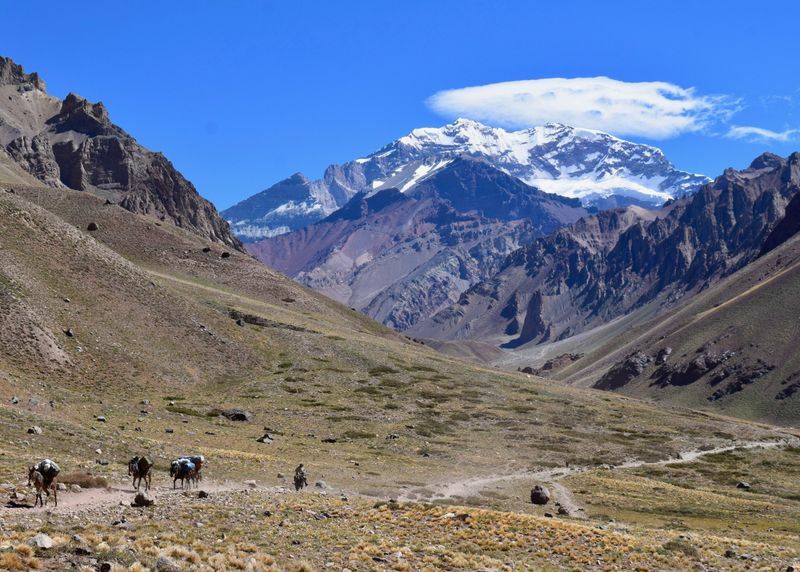 Embark on a legendary crossing flanked by the highest summit in the Americas – Aconcagua (6,960m/22,837ft). Starting from Mendoza, you’ll follow the historic route that San Martin took in 1817 to liberate Chile from colonial rulers. 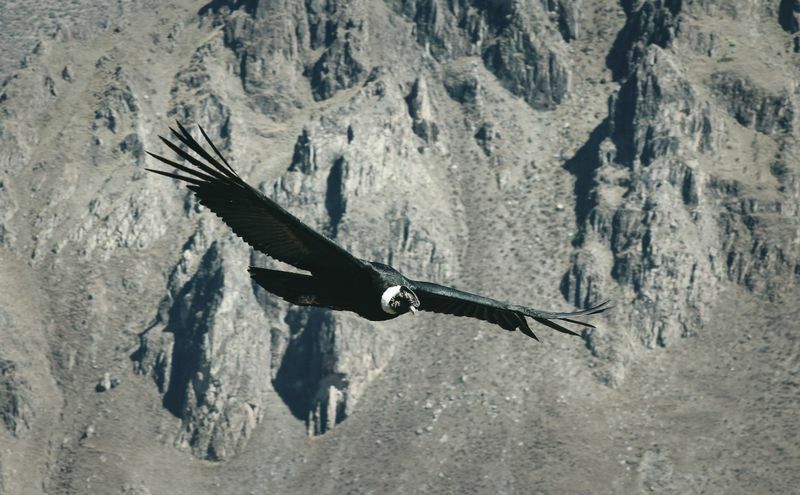 These remote areas are largely uninhabited and serve as nesting ground of the famed Andean condor. Another grand traverse starts near Bariloche and ends near Puerto Varas, in Chile’s Lake District. 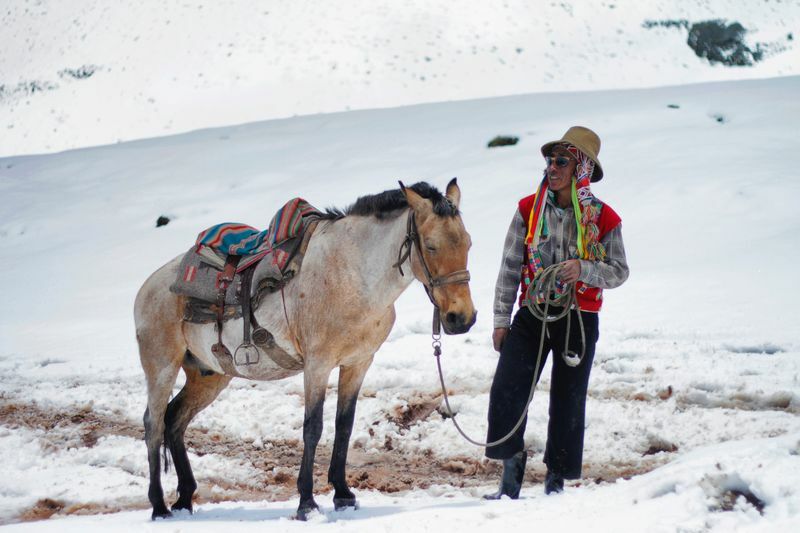 Climb high in the Andes, following the old pioneer trails of gold miners and gauchos. Southern Patagonia is famous for its otherworldly jagged coastlines and glaciers. 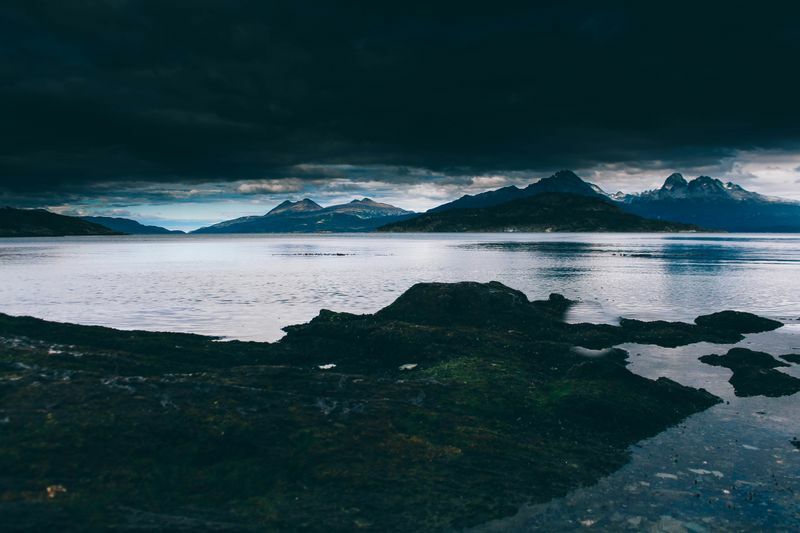 Tierra del Fuego (“Land of Fire”) is South America’s southernmost tip, also known as the “End of the World”. Here, you’ll leave civilization behind, passing by diverse wildlife and abandoned shelters of the early Patagonian explorers. The best time to go horse riding in Argentina is from October to May, during summer. The pace is steady, but the rides are demanding. You must be prepared for multi-day adventure trips that cover a lot of ground. Most of the trails are steep and winding, with river crossings and technical mountain passes. Follow in the footsteps of the Incas. 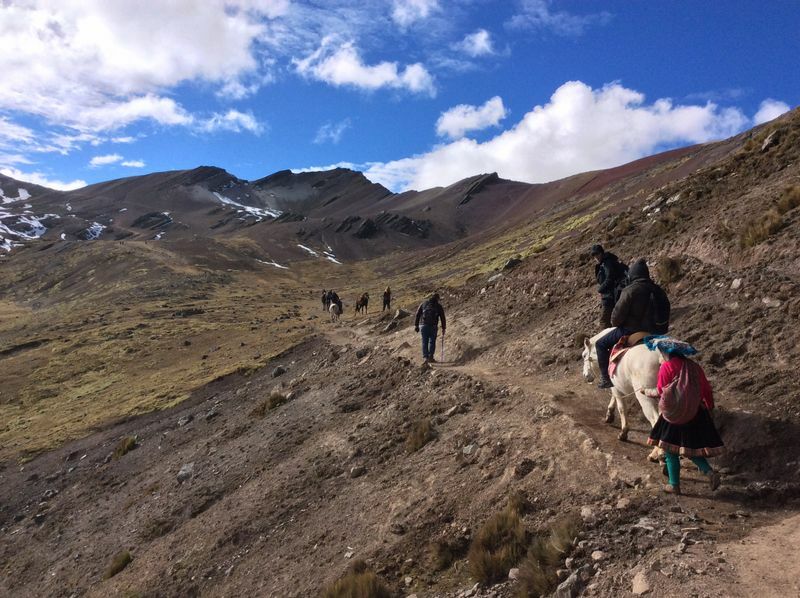 Join a horse camping trip in Peru and go trekking on ancient trails, through wild Andean landscapes, passing by famous Inca temples, eucalyptus forests, and terraced fields, discovering indigenous communities and spending the nights camping under the stars. Ride Peruvian Paso horses over the country’s highlands, through the many natural parks north of Cusco, visiting Pre-Inca and Inca sites, passing by llamas, alpacas, and condors. The Inca Trail is the most popular trek to Machu Picchu, following the original journey through the Sacred Valley. This lush green valley was prized for its rich agricultural lands. Today, it is dotted with Inca ruins, terraced fields, and remote villages with mudbrick cottages, which give it an authentic Peruvian feel. The most popular alternative to the classic Inca Trail to Machu Picchu is the Salkantay Trek. The route crosses the sacred lands of the Incas over the Apacheta Pass (4,590m/15,026ft). In southern Peru, ride through the Colca Canyon, one of the world’s deepest river canyons, home to the giant Andean condor, remote traditional villages, and Pre-Inca terraced agriculture. 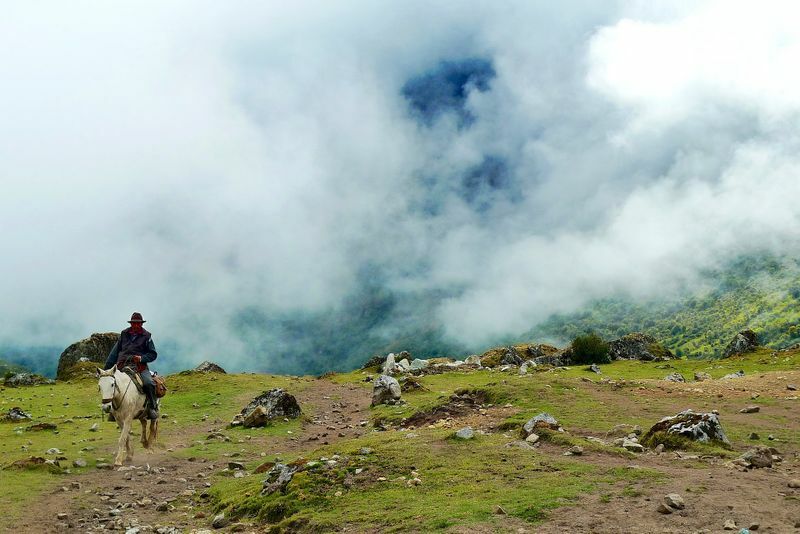 The best time to go horse riding in Peru is during the dry season, between April and October, with June through August being the coldest months. Please take note that the weather in the mountains can change drastically and you should be prepared to experience four seasons in one day. Escape the hustle and bustle of the city. 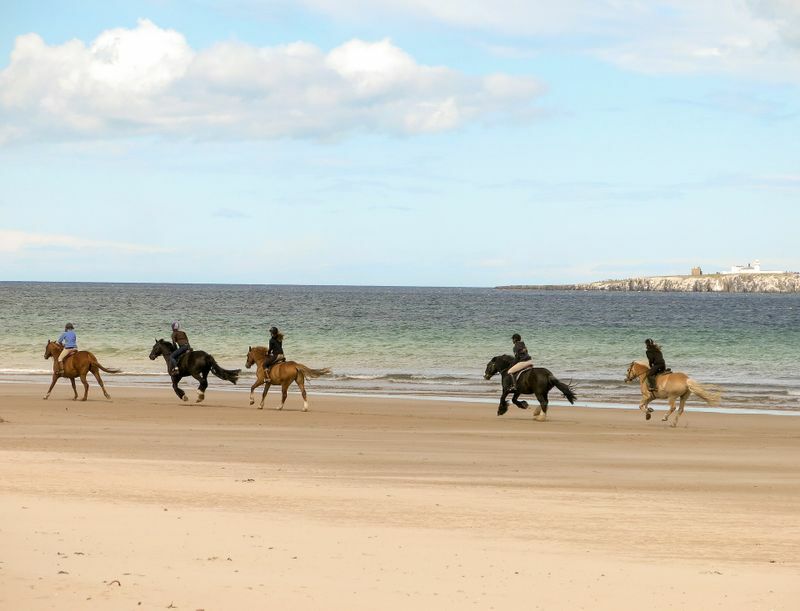 Turn to nature and go out into the wild on a mountain horse riding holiday! Octavia is a travel writer for BookHorseRidingHolidays.com. She is a passionate mountaineer, tree hugger, and adventure addict who is in love with wild horses and dreams to be just as free as they are.